GrabCar Lowers Prices for Nearby Rides! Taking cue from the Incredible RM1 Rides campaign, GrabCar is lowering their base fare to RM1. 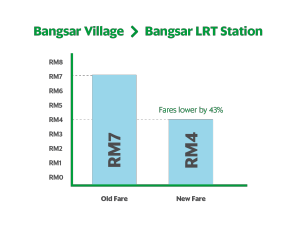 Removal of minimum charge, therefore, short rides below 5km will no longer be subjected to the RM7 minimum fare. 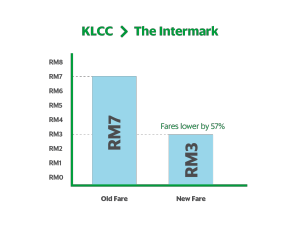 Here are examples of how GrabCar’s new fare stacks up to the old fare – in most cases, it’s even cheaper than paying for petrol and parking! Here’s How to Book Your GrabCar Ride! Enter your pickup and drop off points and choose your payment method. Provide your card details if you’re paying with credit/debit card for the first time. Book your short ride and let’s roll. Our prices are subjected to flexible real time pricing subjected to the supply and demand. Available for new and existing users including cash/credit/debit card users. Toll charges are not included in all fixed fare shown in the app and will be charged separately to the passenger. Grab reserves the sole and absolute right to withdraw, amend and/or alter any part of the whole terms and conditions in relation to this at any time without giving any prior notice to the Customers and the Customers agree to be bound by those changes. Grab’s decisions in any matter in relations to this shall be final and conclusive.